Buying a pre-owned car is a smart and environmentally friendly investment. Not only are you saving yourself thousands on a used car, truck or SUV, you’re also helping the environment by not buying a brand new car. Now, finding a dealership with the best selection of used cars near Troy, OH might seem harder than you think, but it’s really not. When you visit Joseph Airport Toyota, you’ll be so excited to test drive cars and drive home in a new-to-you car that you’ll wonder why you didn’t buy pre-owned sooner. Used cars are not something to be nervous about. They’re cars that have already been loved but are in wonderful condition and ready for a new owner. Remember, you’ll be saving money by buying pre-owned which can go toward your other financial goals whether that’s to buy a home, go on a long vacation or save for the future. Buying used cars allows you that luxury of leftover funds in your car buying budget. Buying pre-owned doesn’t mean you have to compromise on the make or model you have your eyes on. 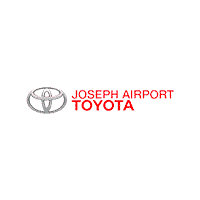 At Joseph Airport Toyota we have a wide range of makes aside from just Toyota. We’re proud to sell Mazda, Nissan, Jeep, Buick, and many more brands, so we can provide our customers with plenty of options. Browse our used cars online inventory and when you find a car or three you want to test drive, text us using our chat feature on our website and we’ll schedule your appointment. At Joseph Airport Toyota, we are proud to offer our YES PLAN Certified Lifetime Warranty on all used cars model year 2013 and newer that have less than 80,000 miles on them. We want to give our customers peace of mind when it comes to buying pre-owned and ease any worries by offering coverage on engine, drivetrain and transmission service. Part of our engine coverage includes rotor housings and their internal parts, oil pump, water pump, timing chains or belts and so much more. Our transmission/transfer case/all-wheel drive assembly coverage includes many components such as transaxle case, torque converter, cooler and metal cooler lines and transmission mounts to name a few. And finally, our drivetrain assembly coverage includes Front-wheel drive and rear-wheel-drive, traction control linkage, four-wheel-drive engagement actuator/motor and more. For a full list of what’s covered under our YES PLAN, please visit our website! You won’t find a better, more trustworthy dealership to buy your new-to-you car from aside from Joseph Airport Toyota. We offer the best selection of used cars to meet all of your needs and offer our YES PLAN Lifetime Warranty to ensure our customers are driving home as confident as possible in their pre-owned car. Buy pre-owned from Joseph Airport Toyota and drive home with no regrets. 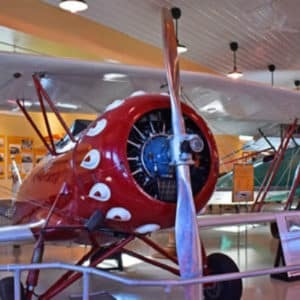 If you are ready for a different kind of experience in the Troy, OH area, there is no better experience for aviation enthusiasts than the WACO Air Museum. Experience historical aviation and learn the culture behind the high flying adventure. From bi-planes rides to flight instruction, you can do it all in your used car from Joseph Airport Toyota! Plus, you have the confidence knowing you are covered if any issues should arise thanks to the YES Plan.